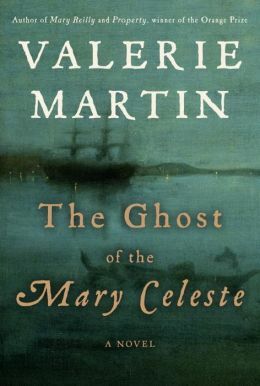 Valerie Martin combines historical fact with a believable premise in her fictional tale – The Ghost of the Mary Celeste. If you are not aware of the mystery surrounding the sinking of the nineteenth century ship or of Arthur Conan Doyle’s penchant for spiritualism, Martin’s complicated story can be hard to follow at first. After I googled both the famous Conan Doyle, creator of Sherlock Holmes, and his relationship to the Mary Celeste – and noted the dates on Martin’s sections – I started the book again and this time became immersed in the disjointed narrative. The story is based on the discovery near the Azores of an abandoned ship, the Mary ­Celeste. The cargo and crew’s possessions were all intact, yet everyone was missing, creating speculation that ranged from insurance fraud to foul play. The incident inspired one of Arthur Conan Doyle’s first published pieces of fiction, “J. Habakuk Jephson’s Statement,” printed anonymously in the British journal Cornhill. In his short story, Conan Doyle fictitiously solves the mystery of the missing ship; some readers believe Doyle’s story to be true, forgetting it is fiction. With this premise, Martin weaves a tale that seems real, and challenges the premise of the truthfulness of the printed word. Martin’s story begins with a ship sinking – all hands lost – and appearance of the ghost of the Captain’s wife to her young cousin, who has a talent for hearing the voices of the dead. Later, the young girl’s sister, Sallie, on board with her captain husband, is lost at sea on the Mary Celeste. Arthur Conan Doyle appears briefly, at first, with references to his medical background, and cameo appearances of his writing contemporaries – Robert Louis Stevenson and James Barrie. The story bounces around a series of seemingly unconnected stories, with deaths at sea, Doyle’s continued success as the author of Sherlock Holmes, and the reappearance of the young cousin, now a famous woman psychic, calling herself Violet Petra, who is described in a memoir written by Phoebe Grant, a female journalist who specializes in exposing frauds. Eventually, Arthur Conan Doyle’s interest in Spiritualism, the female journalist’s mission, and the aging Violet connect – and collide – to create a satisfying mystery that circles back to solving the mystery of the Mary Celeste. Although Martin seems to be noting the gullibility of readers to believe whatever they read, her subtext never detracts from the adventure of solving the mystery. During the intervening years, Doyle creates and kills off Sherlock Holmes, noting that he “really was never alive in the first place,” when ardent readers lobby for the sleuth’s return in story form. How vested we readers become in the characters created for us – they may be as real as they are to their creators, the authors. With this as a hook, Martin happily leads the reader through a series of twists, red herrings, and possible solutions in a story that requires attention until the final section, which reveals the log of the Mary Celeste itself, delivered into Conan Doyle’s own hands. If you are planning to read this book to lull you to sleep, you may lose one of the threads. Stay with it and you will still wonder where it went in the end. The questions – What happened on the Mary Celeste? Is Violet Petra a genuine psychic or a fraud? – can only be answered by the reader. Valerie Martin is not revealing anything, but she does create a rewarding and suspenseful tale. This entry was posted in American history, authors, book review, books, historical fiction, history, mysteries, reading and tagged Arthur Conan Doyle, Azores, Conan Doyle, ghost stories, Martin, Mary Celeste, Mt. Holyoke, mystery, Robert Louis Stevenson, Sherlock Holmes, ships lost at sea, Spritualism, the Briggs family history, The Ghost of the Mary Celeste, Valerie Martin. Bookmark the permalink.